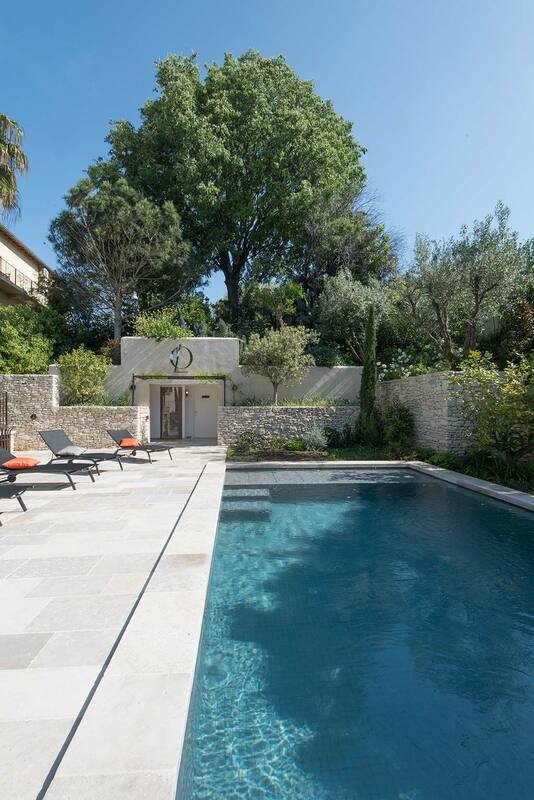 Built in the 1920’s for three dozen staff of the Provencal Hotel, les Oliviers has been transformed as a luxury complex with six bespoke apartments with landscaped gardens and two private pools. 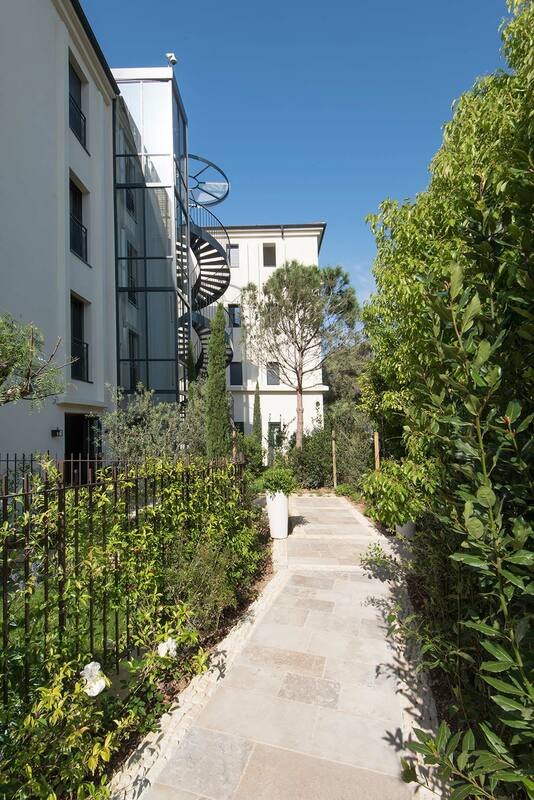 Two ground floor apartments open onto private gardens with large terraces, and one duplex has been designed on first and second floors to accommodate four guest suites with a private pool and sunbathing terrace. The penthouse apartment accommodates three suites, including a master suite with large private terrace. 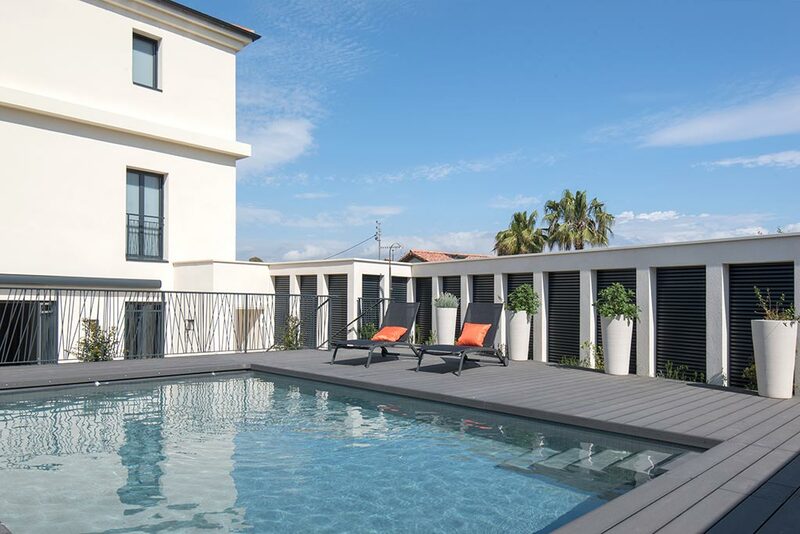 The penthouse reception rooms have open beamed ceilings, with terraces looking north toward the Maritime Alpes and south toward the Cap d’Antibes.